My kids were playing on the floor, while I made dinner and listened to music. Then, his song began to play. It was the song that I sang to my son Micah the day before he died. Suddenly, I was swept away by the music and back in Micah's hospital room. Micah died years ago, but as Micah's song played, my mind, body and soul journeyed back to that moment with Micah. I stopped cooking, as tears rolled down my cheeks, uncontrollably. Micah's twin brother, Zachary, looked at me and instinctively knew why I was crying. He smiled and said, "Mama, it's a Micah song!" I smiled back. Music brought our family together during extraordinarily difficult times. 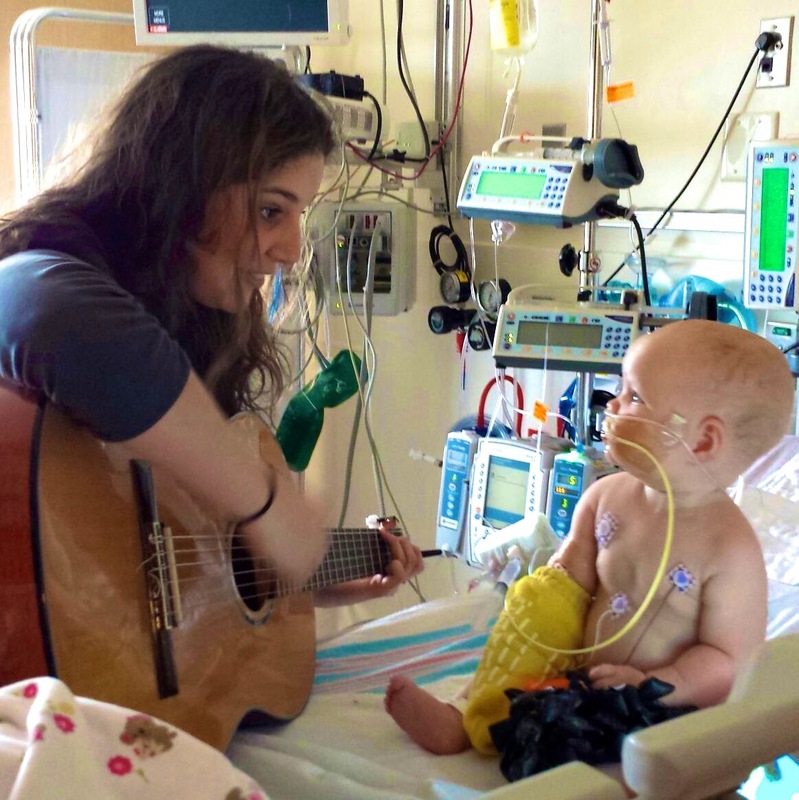 As music filled Micah's hospital room, the songs nurtured our relationships. We bonded over music because it gave us a shared experience that wasn't about the next medical procedure. The comfort of a song can reach the most fragile of infants and the most elderly of adults. During much of Micah's hospitalization, he literally could not move his body. Music defied this profound barrier. Even when Micah could not move, he still loved to listen to music. Music weaves itself into whatever it is that we're experiencing and makes it better. When we were physically and emotionally exhausted, overwhelmed, and terrified, music comforted us. When we were overjoyed and optimistic, music celebrated with us. Songs write their own stories into our life. We shared songs with Micah that we enjoyed when we were children. We learned songs in Micah's hospital room that will remain with us, always. Music takes us back, and keeps us present. Some of my most treasured memories with Micah happened through music. We danced, sang, and rocked in a chair, just listening, together. Music allowed us to escape the chaos of the hospital by giving us a sense of normalcy. Micah loved music, and we loved sharing music with Micah. After Micah died on December 11, 2012, we wanted to find that one thing that brought Micah joy, and give it to other families. Music was it. We created the Micah Smiles Fund to expand the Music Therapy Program at our children's hospital. The Micah Smiles Fund initiated a Music Therapy Fellowship Program, where an established music therapist mentors a recently credentialed music therapist, while providing the healing sound of music to pediatric patients and their families. The result is pure music magic. We've been lucky enough to meet some of the families who've been touched by the Music Therapy Program, including teenagers with chronic, life-threatening conditions, young children who are hospitalized and too frail to play outside, and babies in the neonatal intensive care unit who are alone in an isolette and desperate for loving interactions. 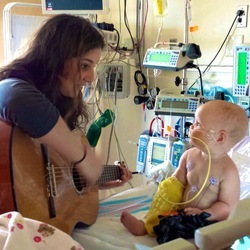 Giving music to pediatric patients and their families, in honor of Micah, provides us with a great sense of peace.